Advance registration is required for this course. Please visit our site for more details! The 2018 Fiber Focus Series is presented in partnership with ahha Tulsa. Learn the basics of wet felting in a child-friendly setting. 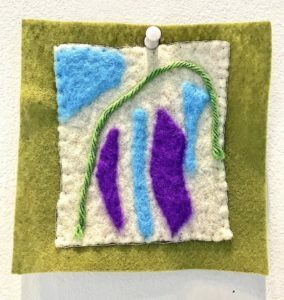 With gentle instruction from artist Taylor Painter-Wolfe, you’ll arrange and layer wool and other materials to create a piece of felt art. This class is designed for caregivers and children ages 4-12.